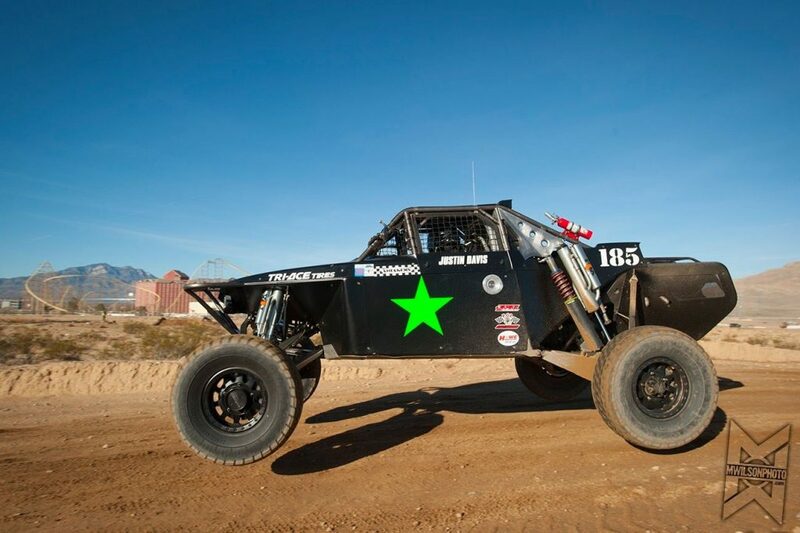 GREEN ARMY notable off-road race team captured the S.N.O.R.E “Battle at Primm” with Justin Davis taking the Overall Championship and a Class-1 win at the season opener in Primm, Nevada held last weekend February 9-11. On the heels of another Class-1 win at the M.O.R.E. “Slash X Ranch” California desert race January 27, highly touted Justin Davis has been holding TRI-ACE Tire’s feet to the fire demonstrating their high technology and durability with the Mark Ma Dakar Rally off-road race tire. Davis who uniquely solo pilots, previously validated the tires durability and performance success by being the first ever off-road racer to place in a SCORE International race with TRI-ACE products when he took third in Class-10 at the 2017 BAJA1000. Mr. Davis has pointed out that the Dakar Rally tire has excellent puncture resistance and predictable control for aggressive driving. GREEN ARMY has committed to competing with TRI-ACE Tire products in the 2018 season and expects to be in many SCORE, S.N.O.R.E., M.O.R.E. and other race series including B.I.T.D’s Mint 400 in Las Vegas, March 7-11. 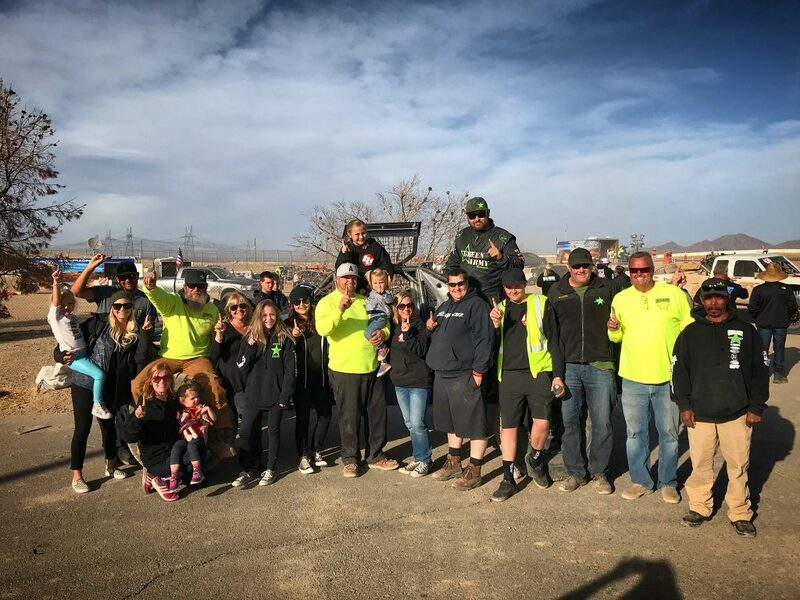 According to Jack Bidding who has developed TRI-ACE’s presence in desert racing said that the having the GREEN ARMY and Gaunt Motorsports team’s involved has significantly increased the demand for their tires so much so that their website crashed the day after the “Battle at Primm”. With the website back up and running, off-road racers can inquire, order tires and register for Contingency Awards via www.tri-acetireusa.com or call 844-887-4223. TRI-ACE will have awards in SCORE, B.I.T.D. and S.N.O.R.E. programs. Attached pictures feature the GREEN ARMY TEAM at Primm and action photo from the race. TRI-ACE Tires specializes in high rim diameter UHP and Mud Terrain tires as well as multiple competition tires.